What happens when one investigator, one standup comedian, and one paleontologist sit down to talk about evolution? 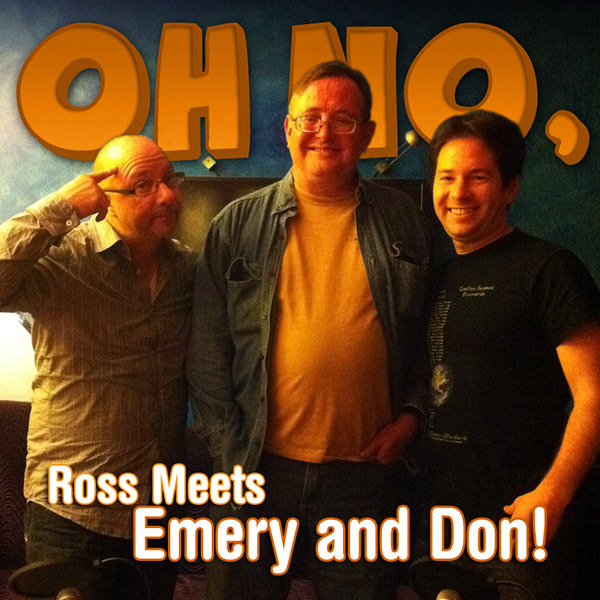 Find out when Ross meets with famed fossil expert Donald Prothero and notorious standup comic Emery Emery, to talk creation science, American education, and the silliest museums in the US. Subliminal messages and optimistism included. And don't forget to "like" us on facebook to see the pictures! You can subscribe on iTunes! You can add our RSS feed! Tagged with American Education, Creation Musium, Creationism, Donald Prothero, Emery Emery, Evolution, Museums, investigation, religion, ross. March 15, 2012 by Oh No Ross and Carrie. And on the 16th episode, there was Creationism. Join Carrie and Ross as they show up at a creationist meeting where they learn that evolution is bunk and beavers were made for fur coats. Then listen as they bring special guests Emery Emery, Heather Henderson and Don Prothero to California's largest creationism museum, abounding with misspelled dinosaur names, fake fossils, misleading quotes and interesting theories about how Adam and Eve's descendants avoided birth defects. It's as close to goat sperm as you can get! Tagged with Adam and Eve, Creation Musium, Creationism, Dinosaurs, Don Prothero, Emery Emery, Evolution, Eye, Fossils, Heather Henderson. 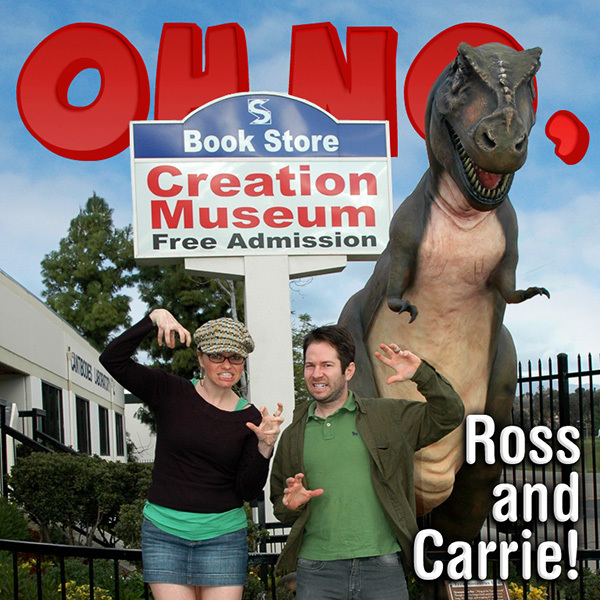 March 1, 2012 by Oh No Ross and Carrie. We show up so you don't have to.